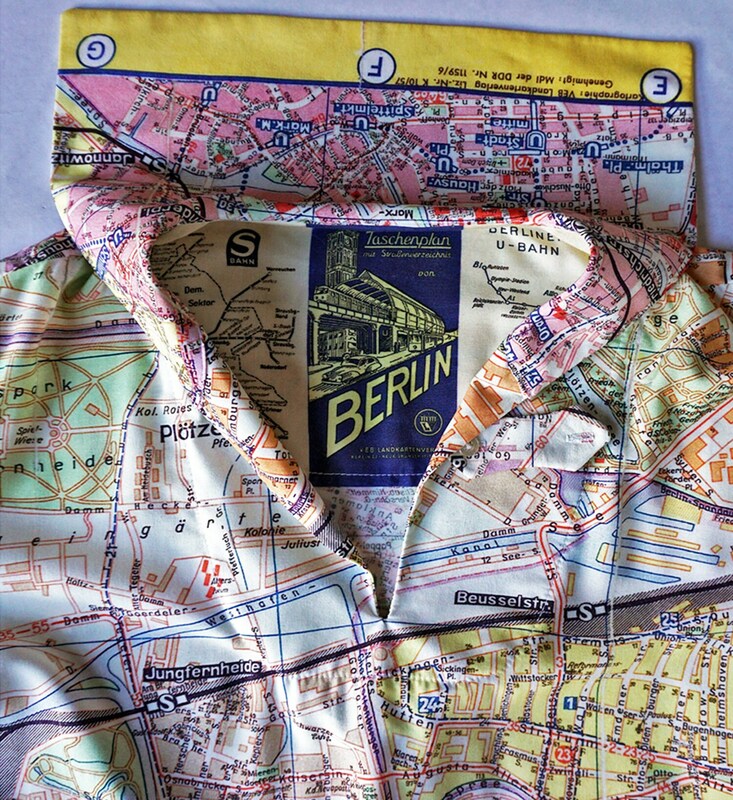 Berlin- map from the 1960 years, already with marked Berliner Mauer (Wall) and a partition into a West sector and surprise ......... a democratic sector = East Sector. 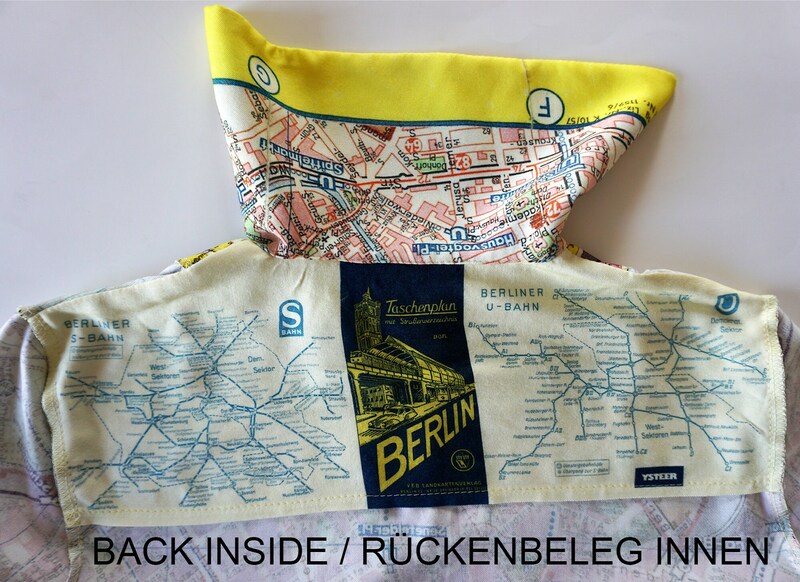 The map was issued by MdI (Ministry of the Interior) of the GDR. 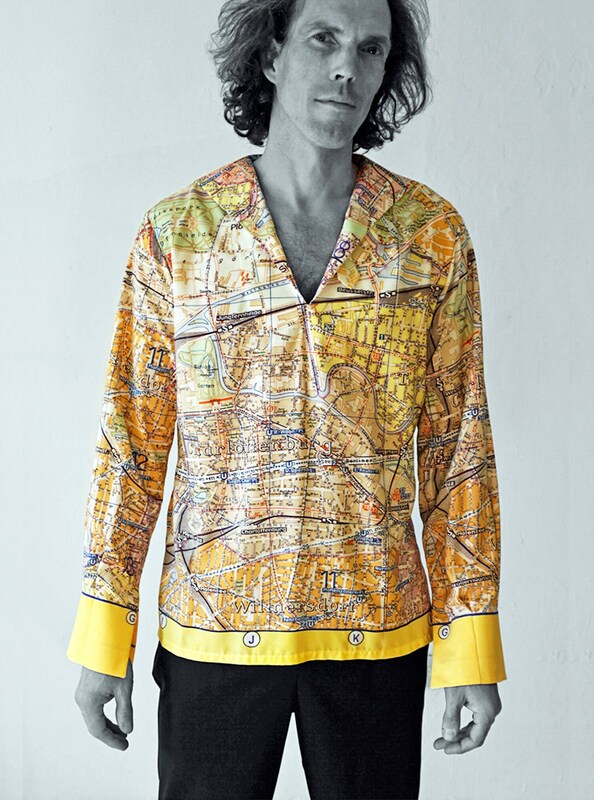 The small bar is removable at the neckline. 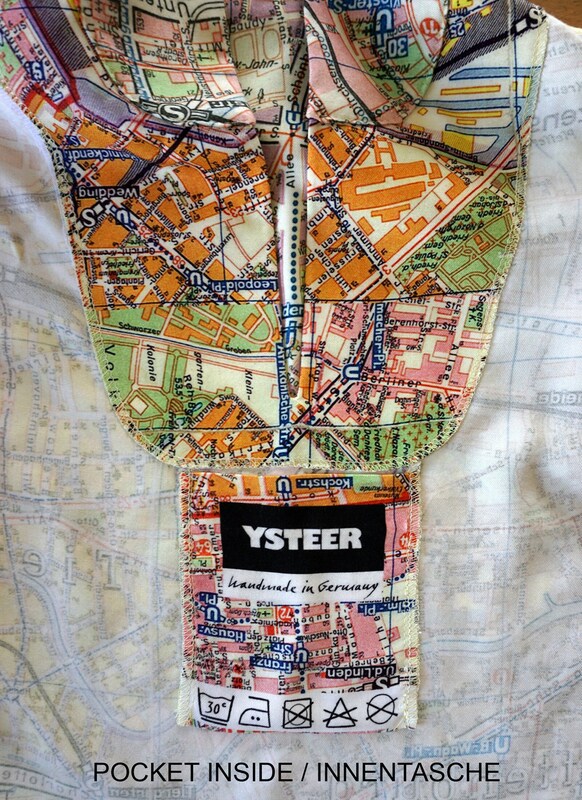 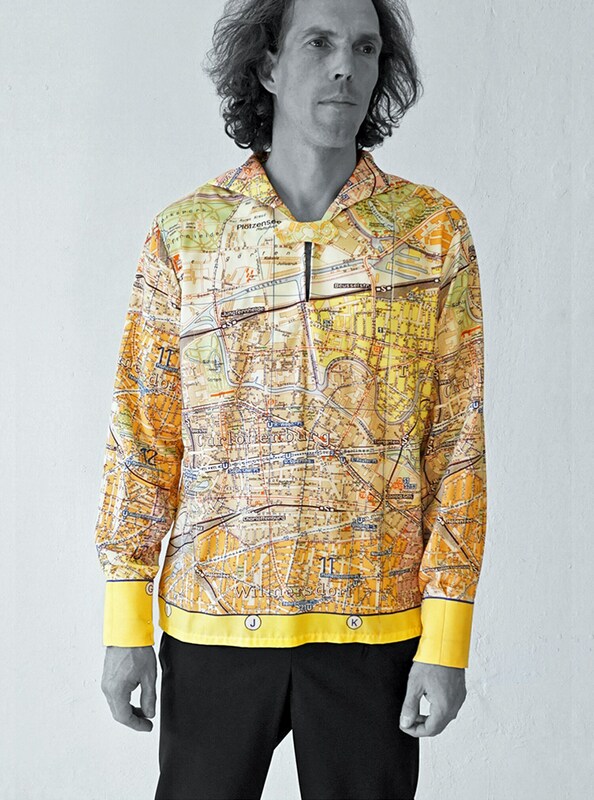 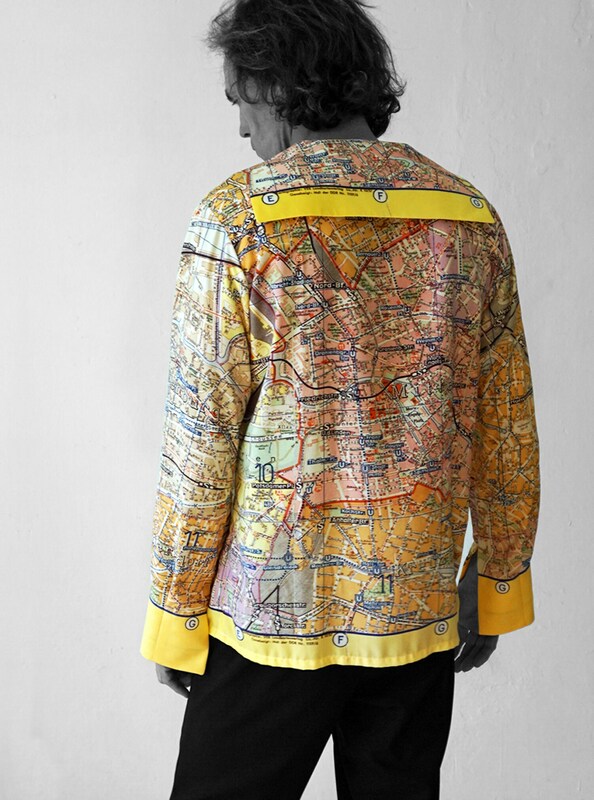 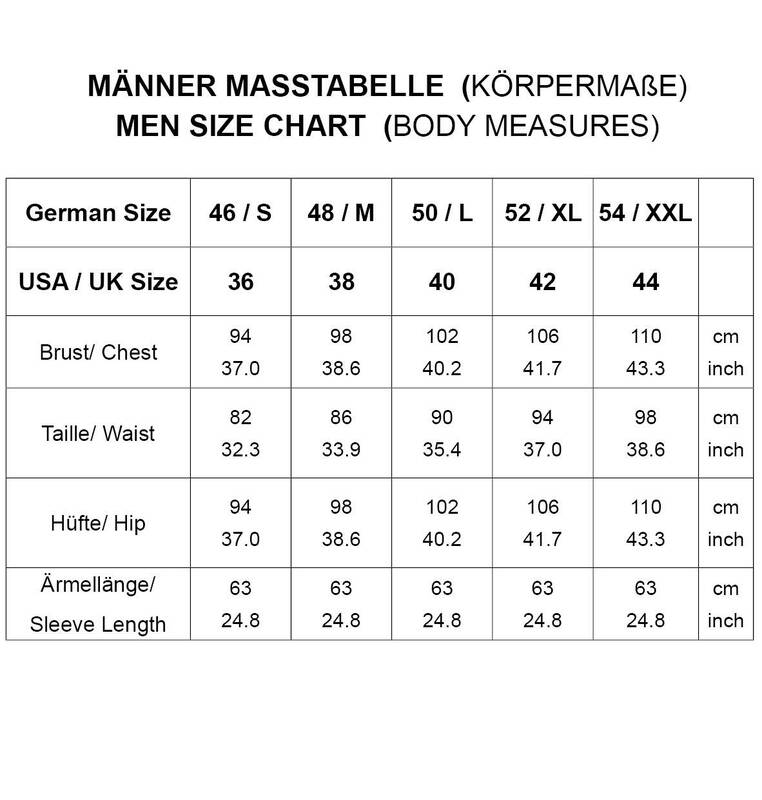 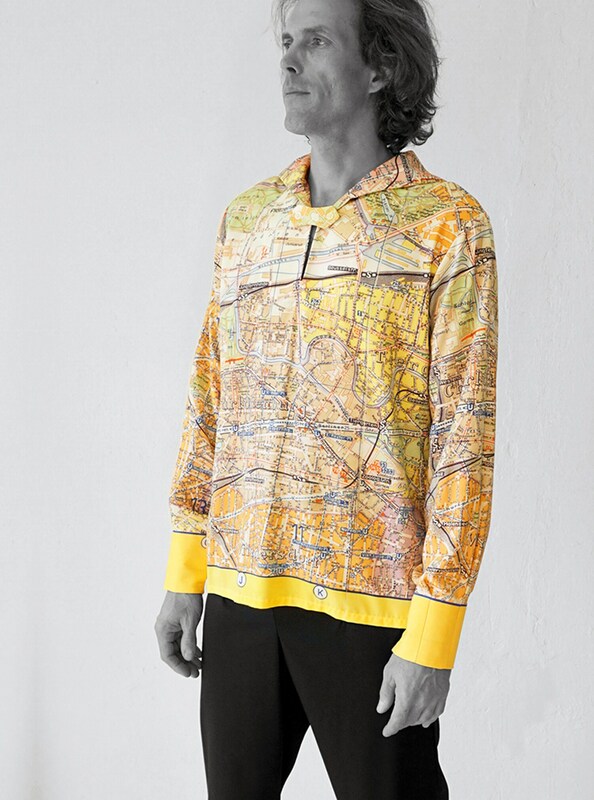 The shirt is also available with a map from Karl- Marx- Stadt.